Infernum Productions has today taken the fight against the IMSA into new territory with the release of the free-to-play third-person shooter “Hazard Ops” on Valve’s Steam platform. 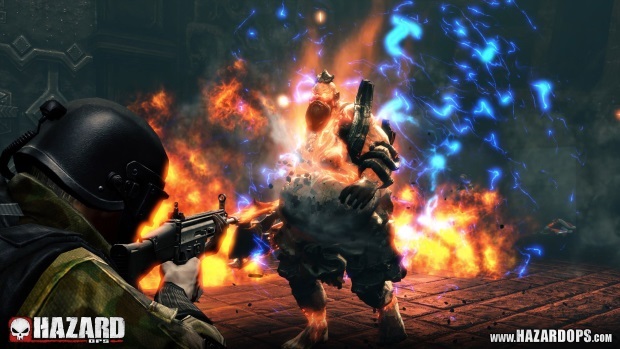 Together with publisher Deep Silver, Infernum will bring Hazard Ops to Steam as a free-to-play title with DLC packs available. Along with the release, there will be six DLC packs available which have various weapons, costumes and boosts within them and enabling new players to get into the action. All DLC packs will be 20% off for the first 7 days! The official Hazard Ops steam page can be found here. Celebrating the Stars and Stripes - Independence Day in the West! In honor of Independence Day tomorrow, InnoGames will host a new event for its online role-playing game The West. Jagex talks big as they give players a new currency to open up premium options through play time. Today indie developer, Ogadonix Studios, have launched a Kickstarter campaign for Ralin: Dwarf Wars, for PC, Mac and Nintendo Wii U.